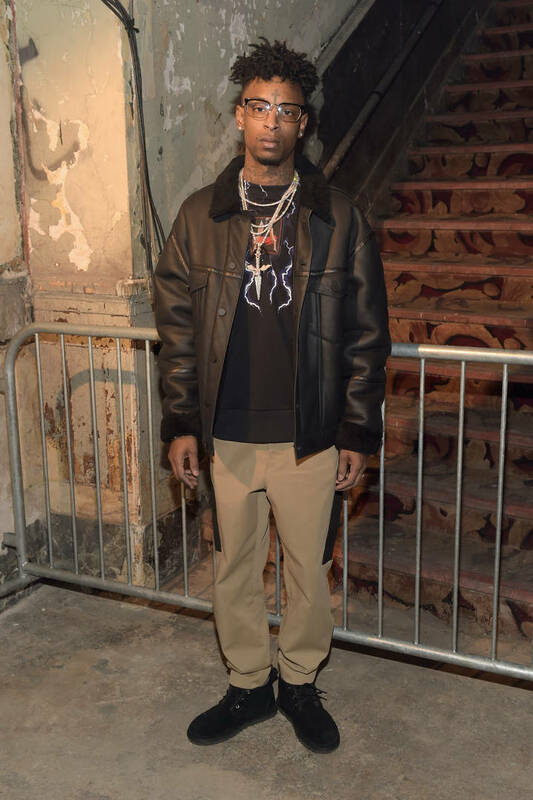 21 Savage Arrest: Lawyer Says ICE Trying To "Unnecessarily Punish Him"
Home>Music> 21 Savage Arrest: Lawyer Says ICE Trying To "Unnecessarily Punish Him"
21 Savage reportedly applied for a Visa in 2017, which is still pending. Yesterday, news broke that 21 Savage had been arrested after reportedly overstaying his welcome in the United States. It had been believed that Savage was an Atlanta native, speaking lovingly of the city in his music. While he has definitely spent a lot of time in Georgia, it is being speculated that the rapper is actually a U.K. citizen, with some rumors stating that he's from an island named Dominica. There is still so much confusion surrounding the current situation but 21's attorney has issued a new statement to TMZ in an attempt to clear things up. Attorney Charles H. Kuck is representing 21 Savage and he says that the rapper has never actually hidden the fact that he's not a legal American citizen. In fact, he actually applied for a U-Visa back in 2017, which is still pending. This is likely the reason why his legal team has said that this is all a misunderstanding. Kuck wrote, "As a minor, his family overstayed their work visas, and he, like almost two million other children, was left without legal status through no fault of his own." Kuck is also accusing ICE of "unnecessarily punishing" 21 Savage. The attorney added that they are trying "to intimidate him into giving up his right to fight to remain in the United States." The Visa that 21 Savage applied for is reportedly based on his status as a victim of crime, dating back to when his best friend was murdered. MUSIC 21 Savage Arrest: Lawyer Says ICE Trying To "Unnecessarily Punish Him"